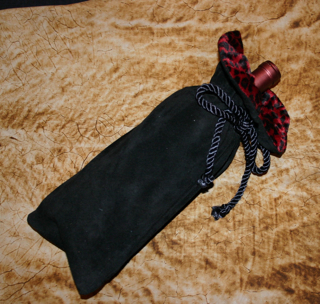 If you were giving an incredible bottle of wine as a gift, this would be the cover that would always be remembered. 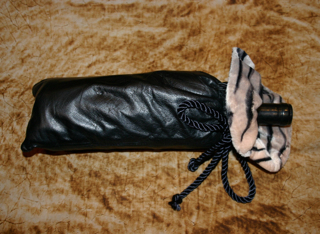 A leather or suede drawstring bag with a faux fur lining, tied with a satin cord. 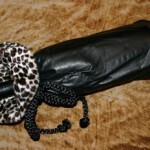 Or just display it on your favorite bottle in your wine room or on a wine rack. 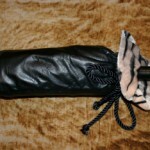 A very beautiful and reusable leather bag….after the wine is gone! By custom order.